I wrote some years ago on the topic of age and expectations. It's an idea that has been coming up again recently, so I thought maybe it would be a good thing to revisit. I keep hearing, "I'm so-and-so age and I haven't done so-and-so," typically centered around the milestone of turning thirty. I can't say I'm not immune to this thinking though, as life certainly hasn't turned out the way I planned ten years ago. My career is pretty much non-existent. Actually, the whole idea of having a career has been slowly flying out the window before me. I think this is something God has been bringing me through personally, so I don't want to make any comment on careers here; but really just dealing with this idea of believing I would have hit a certain milestone by this point in life is tough. My struggle is career, for others it's relationship status or having kids... Actually, I can't really think of any other milestones that come up in conversation -- those seem to be the big two. But I have to ask -- Where do these expectations come from? The answer I come up with is that they are societal norms that turn into personal pressures. 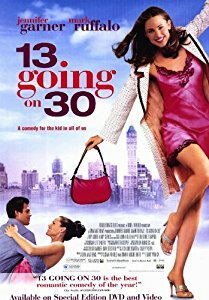 Most people at thirty have gotten married, had a couple kids, bought a house and have a pretty stable career that they spent most of their twenties working towards. Well, if most people have done it, why haven't I? But I have to ask another question -- What does God say about it? That pretty much says it -- this world and its expectations will likely differ from God's, and so we need to be comfortable in those differences. That's not to say that God's will and those milestones, some of which may be genuine desires, might not always line up. Most of these things we want are pretty good things, and we probably have good logical reasons for wanting to attain them by the time we have set out to do so. The problem is that I keep seeing friends get down on themselves about what they have and haven't accomplished at their age, and I don't think it's right. God has you where you are for a reason. Period. And that's hard for me to write because, if you read this blog at all you know, I'm coming out of a really hard year. But that's one of the lessons he's been teaching me and I think it's true. You are where you are for a reason. Even if some seemingly poor choices you made brought you there, those choices did not surprise God. Guided by the hand, you will be led through this life, sometimes knowingly, sometimes not. There will be dangers on the path, dark cliffs and hidden vipers. You may, at times, feel the mist of waterfalls and bask in the shade of green trees looming overhead while birds chirp away songs of joy and hope. And then there will be days in the desert, where a lonely death seems right around the corner. But we have to have faith that these things work out like this for a reason, and trust that God will bring us where he wants, when he wants us there. If we don't, then all the anxiety that our generation is so thoroughly saturated in will surely consume us as we attempt to design our destiny around what we think it should be. Really, it all boils down to trust. I haven't been much for boldness, evidenced by my dating track-record. First was the girl I never called because I was afraid my parents would find out I had a girlfriend (they didn't care). Then there was the one who I was not bold enough to ask out, but rather told a friend who knew her to spread the word that I had a thing for her. She came up to me at lunch one day, and the rest is history. That is, until I got tired of her and, not being bold enough to actually break up with her, was just mean to her until she brought up the subject. In scripture though, it seems that God rewards boldness. Jesus said in Matthew 11:12, "From the days of John the Baptist until now, the kingdom of heaven has been forcefully advancing, and forceful men lay hold of it." To be a great man or woman of faith requires some degree of boldness. To be a follower of Jesus requires boldness too -- in Mark 6, the disciples have returned from being sent out in pairs. They go away to a solitary place to get some rest, and tons of people meet them. Jesus teaches them, but the disciples bring up the fact that it's getting late and the people need to eat. Jesus replies with, "You give them something to eat." (Mark 6:37b). What?! Are you serious Jesus?! Yes. In faith they obey, and it all works out. It seems a lot of lessons Jesus taught His disciples involved God providing for their needs, even in ridiculous circumstances. It all required boldness and trust, which God seems to reward. In the Old Testament, David was called a "man after God's heart." (1 Samuel 13:14) He was humble and bold, but also incredibly flawed, going on to commit adultery with his own soldier's wife, and then having that man killed to cover it up. With this same woman, though, David would have Solomon, through whom God's covenant would continue. Maybe he was there when Jesus was sentenced (it's not known if he was or not), and didn't say anything to the contrary. Perhaps his act of boldness was a little too late. Or maybe he wasn't there, and when he found out, he decided to do something for his rabbi, a proper burial being the least he could offer. I suppose this still would have been a bold act, as the Council would certainly have found out and he would likely be have been rebuked, reprimanded or put out of the synagogue. Either way, he is mentioned in the synoptic gospels, and therefore honored for his boldness. In scripture, I think God honors the bold, and this is because it requires faith. You can have faith without boldness, but you can't have boldness without faith. Faith in what? That whatever decision you make, no matter how brash, will turn out alright because God is taking care of you. This takes a lot of trust. Boldness also takes honesty. As David sings after he is rebuked by Nathan the prophet for his adultery and murder. Have mercy on me, O God, according to your unfailing love; according to your great compassion blot out my transgressions. Wash away all my iniquity and cleanse me from my sin. For I know my transgressions, and my sin is always before me. Against you, you only, have I sinned and done what is evil in your sight, so that you are proved right when you speak and justified when you judge. Surely I was sinful at birth, sinful from the time my mother conceived me. Surely you desire truth in the inner parts; you teach me wisdom in the inmost place. In our pursuit of boldness, it also helps to have a partner. Jesus sent out his disciples in pairs more than once (Matthew 10, Luke 10, Luke 22:8-13, Mark 11:1-6). When you have someone with you, you are automatically stronger with someone to back you up. 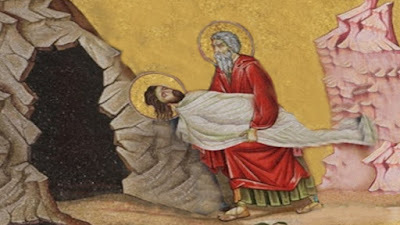 Even after Jesus ascended, Peter and John are noted as doing a lot of work together (Acts 3:1-10, 8:14-17), as well as Paul and Barnabas (Acts 13:2) and then Paul and Silas (Acts 15:40-41). Even in marriage, our wives are called our "suitable helpers," (Genesis 2:18b) and God knows where I would be without my wife. The first time I realized how much help a partner is in being bold was at El Porto with my good friend Zach. There is one way in and one way out of the busy El Porto parking lot, and a guy was stopped, waiting for some folks to pack up and vacate so he could park there. This dude was totally backing up traffic, waaay up the ramp. I thought to myself, What a douche...this guy needs to just keep going and find a spot later. I rarely say what I mean though (another mark against my boldness factor), but with Zach there to back me up, we were both bold enough to call the guy out and tell him he should keep going. Something small and simple, but it struck me that having this partner in our cause was what led me to speak up. So to summarize this rather long blog post, boldness takes trust, honesty (with us and God) and a partner. So go out there and be bold! Maybe something good will happen!